The Clemco Apollo 600 HP & LP supplied-air respirator is rugged, durable, and built to withstand harsh blast environments. The bright red-orange color allows for optimum visibility on the job site while the wide-span window offers an unhindered view of the work surface and broad-scope peripheral vision. A three-lens system, including a series of perforated tear-away lenses, speed the way to clear vision during the sandblasting process and protect the durable fixed inner lens from premature wear. The Apollo 600 builds upon the excellence of the Apollo 20 and 60 models by adding new features to make it even more comfortable to wear, easier to maintain, and more durable. This single-shell helmet is available with two suspension options: DLX comfort-fit style or web-style. 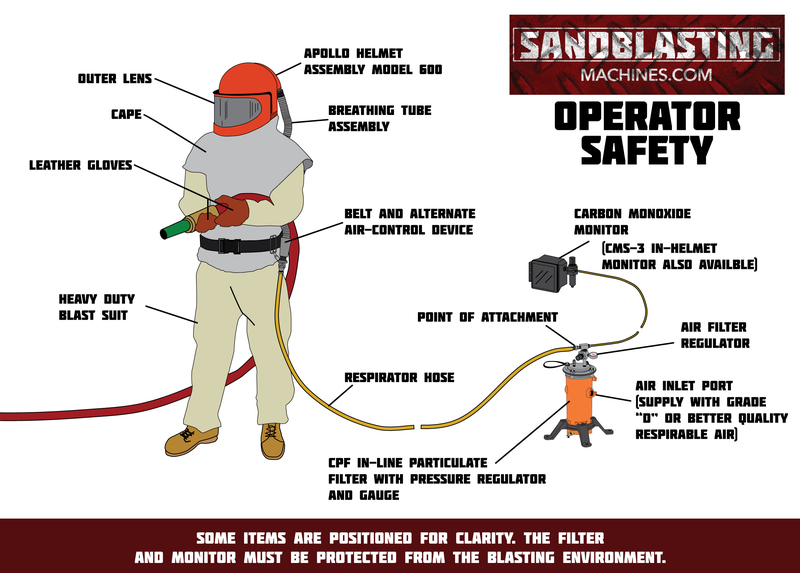 Built to provide years of service, the Apollo 600 helmet is NIOSH-approved as a type CE continuous-flow respirator and carries ANSI Z89-2003 approval as a category G hard hat.